I suppose you thinks this funny. 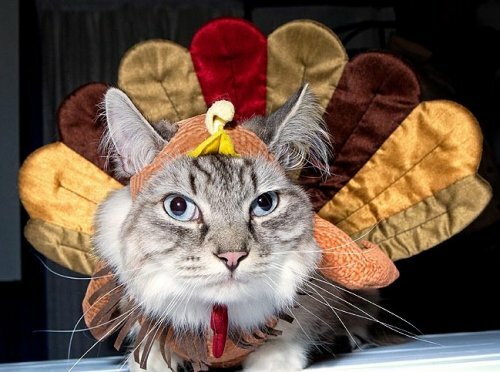 I woulds bite you ifs I didn't think it woulds costs me my shares of turkey on ther big day! Can I takes this off now? I feels like I is becoming a birds brain.